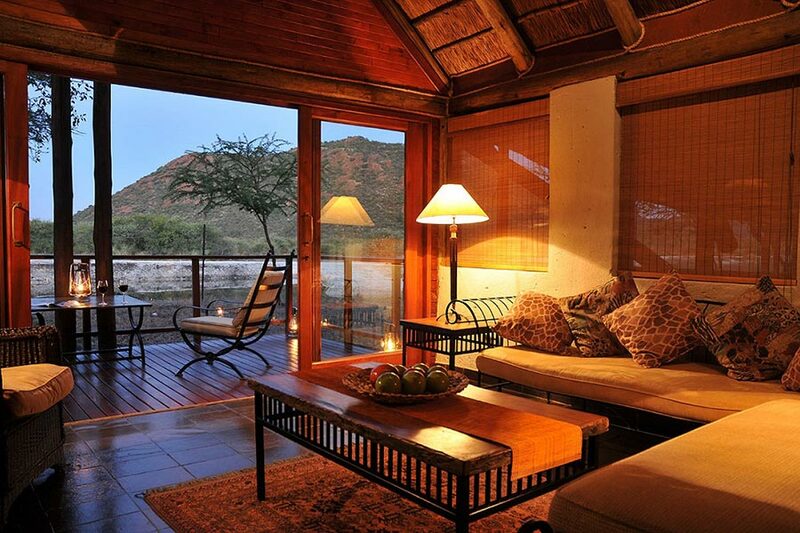 On the far northern border of South Africa lies a beautiful area known as the Groot Marico and it is in this spectacular setting, in the malaria-free Madikwe Game Reserve, that the privately owned, 5-Star Tau Game Lodge is located. 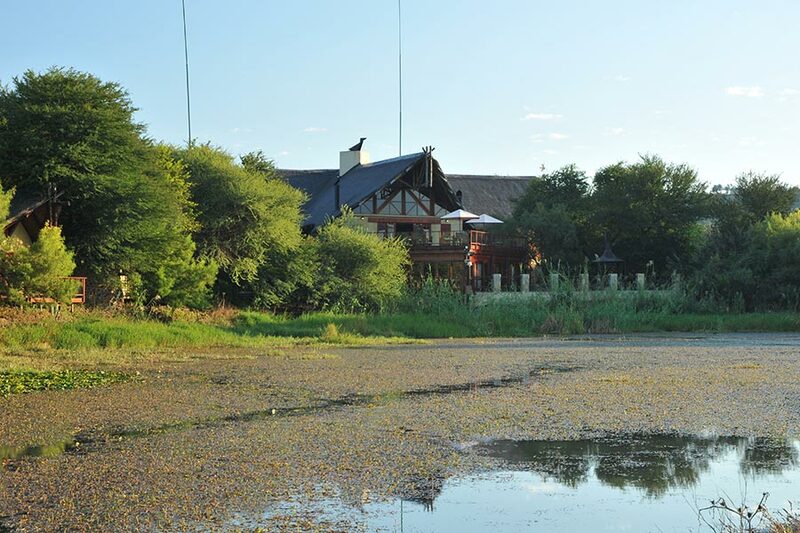 The lodge was built in 1995 and overlooks a natural watering hole, which attracts a wide variety of game. 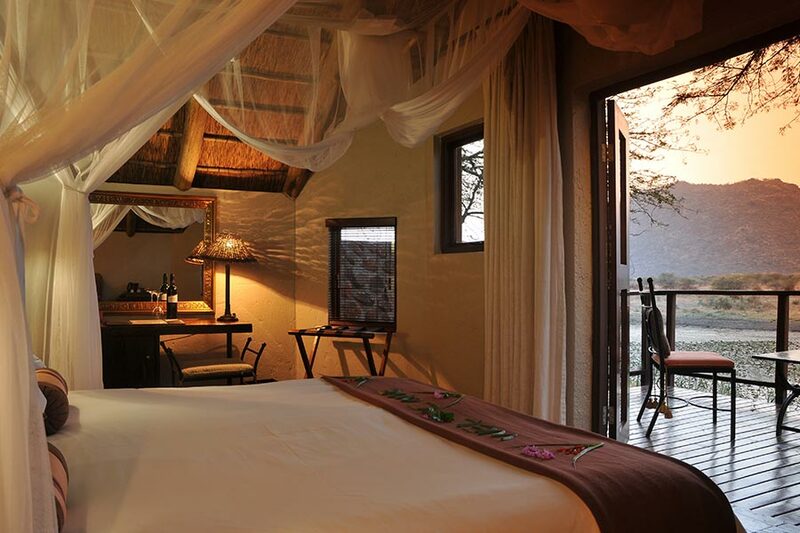 The lodge has since been revamped to offer superlative comfort and luxury, while maintaining a connection to the surrounding bushveld. 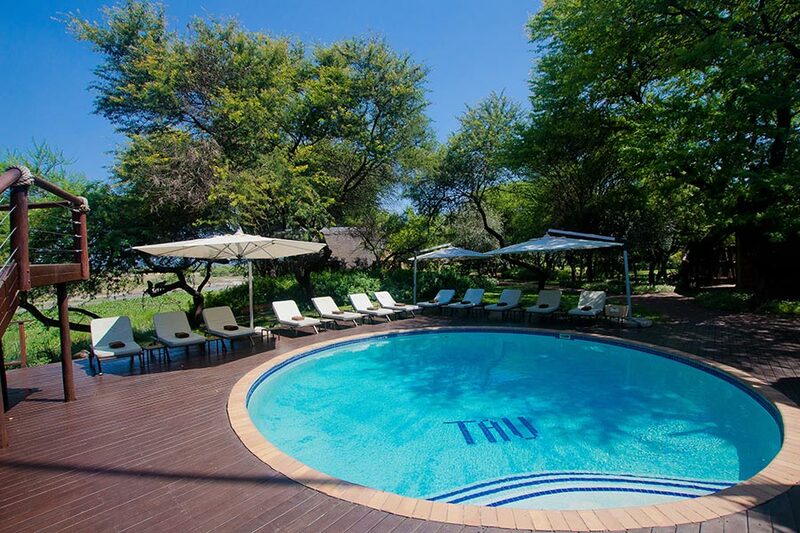 Tau can accommodate up to 60 people and is an ideal conference venue, as well as an idyllic wedding destination. As part of the Lodge’s commitment to supporting the local community, The Tau Foundation delivers very tangible results to various schools that are in need of upgrades. The environment is also top of mind and The Tau Tree Fund offers guests a chance to plant indigenous trees. 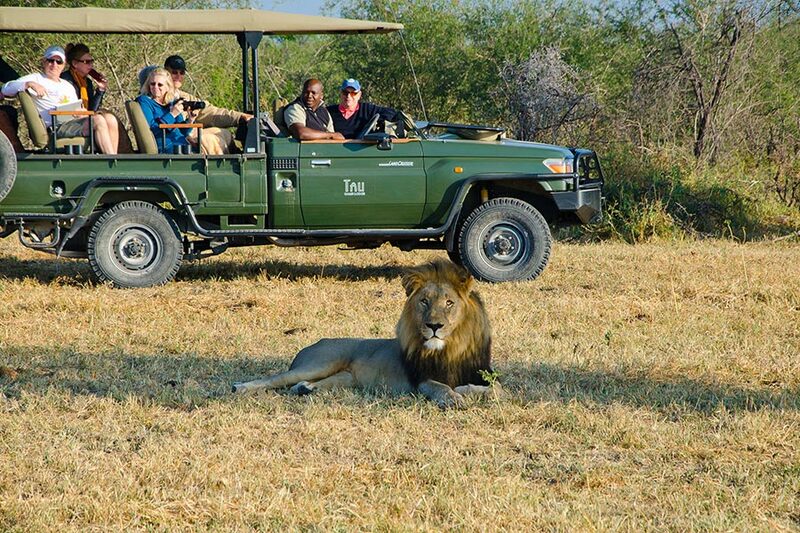 Come and enjoy an authentic South African safari vacation! Thirty luxury chalets are spread out in U-formation and have been skilfully designed to reflect the natural surroundings, while making use of natural resources wherever possible. 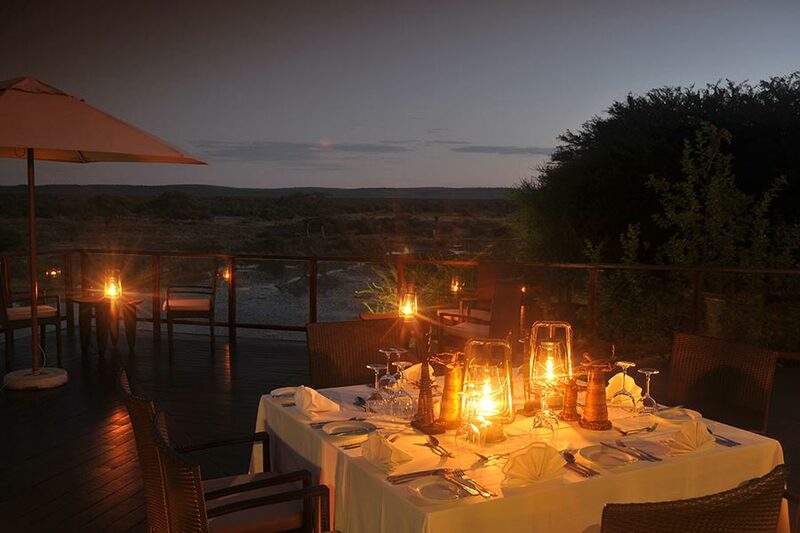 Guests enjoy excellent views of animals approaching the watering hole. The standard chalets are suitable for two adults and can be shared with one infant (below the age of 2). The deluxe chalet accommodates parents and children wishing to share the same room. Each has two bedrooms and share a comfortable lounge. Larger than the family unit, the Family suite also consists of two bed rooms and are semi inter-leading and share a comfortable lounge. The Family Suite can accommodate up to 5 people and can fit an additional third stretcher. Expect international favourites and delectable African cuisine to be expertly prepared by the chefs. Delicious buffet breakfasts and lunches are generally served in either the main lodge, or on the veranda next to the plunge pool. 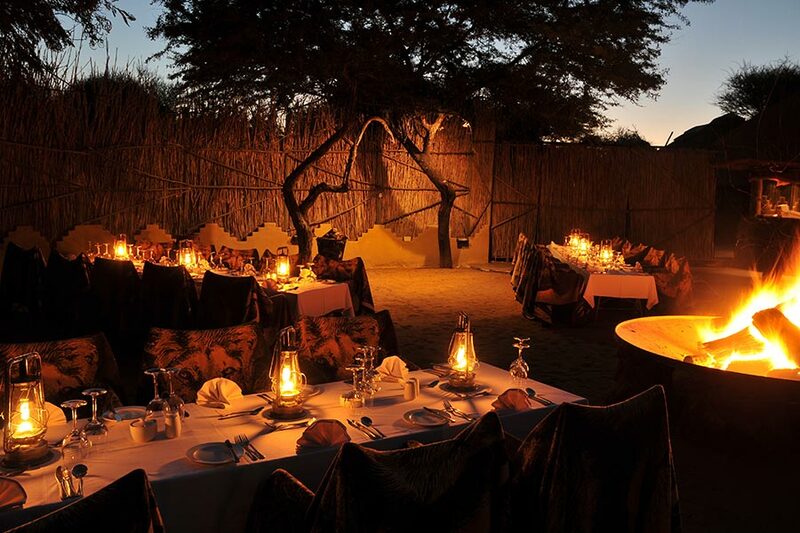 In the evening, dinner is served in either one of the cozy bomas, or under the stars in the bush. A child-friendly menu is also available with plenty of fresh fruit and vegetables. 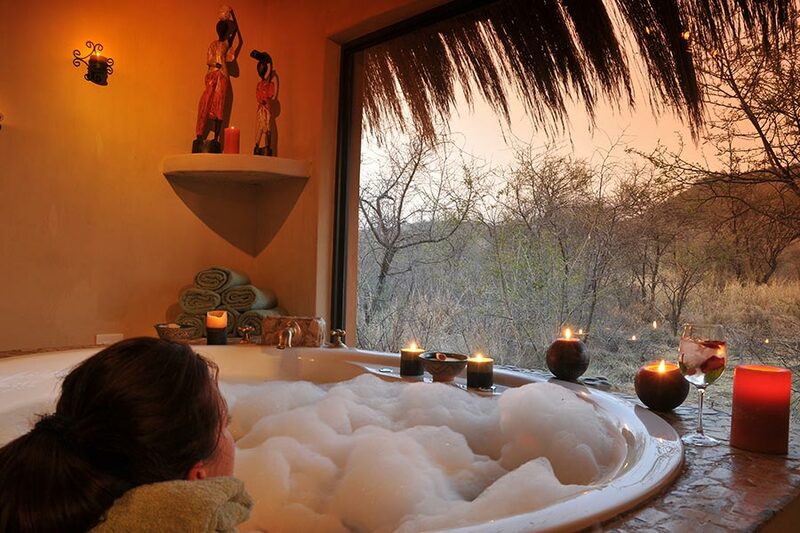 Relax and rejuvenate in a calm sanctuary that reflects the soul of Africa. Indulge your senses in a unique fusion of different therapies designed to detoxify the body, revitalize the skin, and balance the mind. 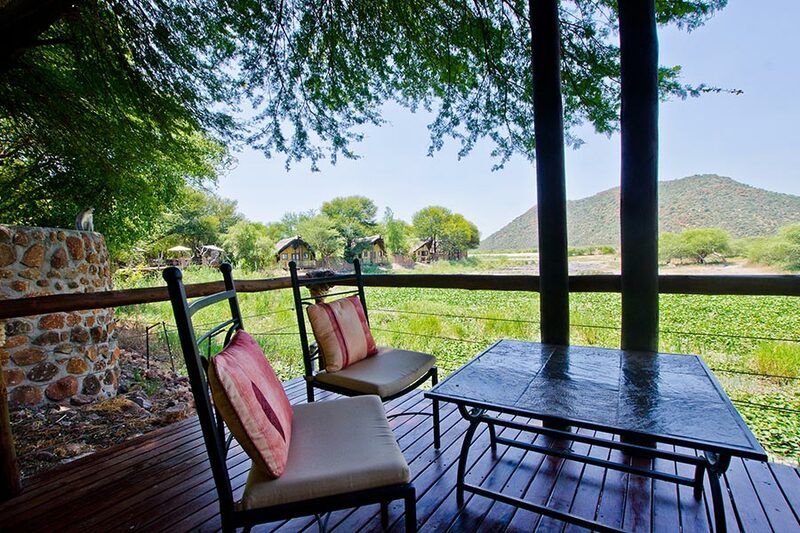 Madikwe Game Reserve boasts year-round game viewing and is one of the few reserves where one can view a wide variety of fauna. Whether on one of the exciting safari drives, or on a bush walk, guests are accompanied by enthusiastic and knowledgeable rangers. See the “Big Five” and so much more, including the endangered wild dog. A state-of the art convention centre, which is within walking distance from the main lodge, can seat up to 150 delegates. High quality equipment has been installed in the three sub-halls, and all systems have been configured to maximize performance. The centre offers specialist equipment designed with simple plug-and-play options for your presentation needs. Each of the three breakaway rooms accommodates 10 people comfortably. 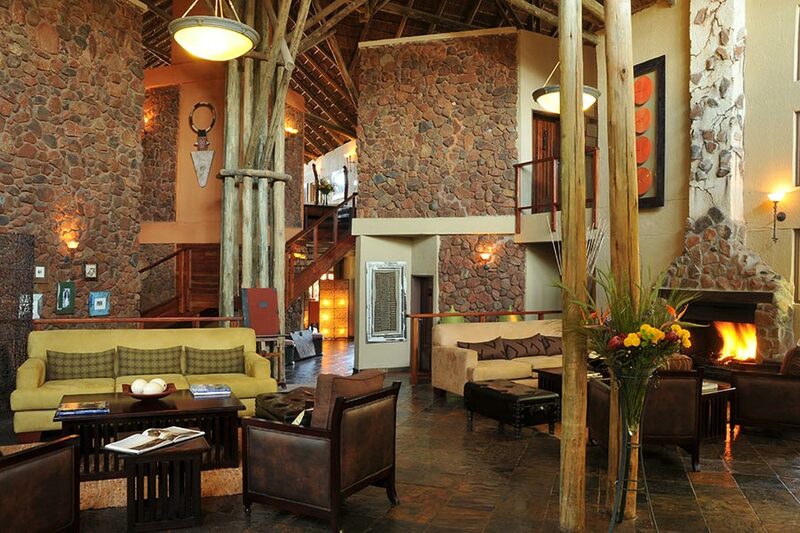 Children of all ages are welcome at Tau Game Lodge. Children under the age of 2 years stay for free. Children under the age of 6 years are not allowed to join the standard game drives, unless the party with the children have booked a private vehicle (available at an additional charge). Please discuss further policies directly with Tau Lodge Management. Children aged 3 – 5, sharing with parents are charged a nominal fee and automatically become members of the Tau Cubz Club. Those aged 6 – 11 are welcome to join their siblings during the special activities that give parents some adult safari time.